wide range of decoraction,silicone wristband,keychain,lanyard,phone cover and so on. Here is something about slap band,thanks for your time,you will love it. Quick delivery in a week after receiving your order. Strict quality controlling according to international standards. 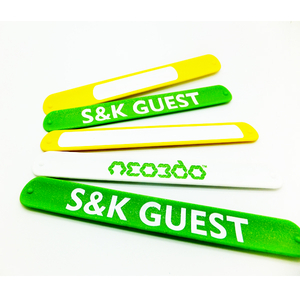 Customize wristband with your wanted design. The logo and text words are available in design. 2. 30% T/T pay as deposit in advance, 70% T/T before shipment. 1. Silicone band can be fixed on the wrist, arm, leg. 2. Silicone band can be belted when riding a bicycle with long trousers, to keep the trousers clean. 3. Super easy to wear and take off Silicone band. 4. The words saying on the Silicone band could be customized and all colors are available. Q: What's your silicone wristband MOQ? Q: What are your silicone wristband payment terms? A: We usually accept below payment terms: 30% deposit by T/T, 70% Balance before shipment.Paypal,bank wire,escrow,western union and so on. Q: We'd like to visit your silicone wristband factory, is it possible? A: Sure! You are warmly welcomed to our factory to have a visit and faces-to- face negotiate with us! 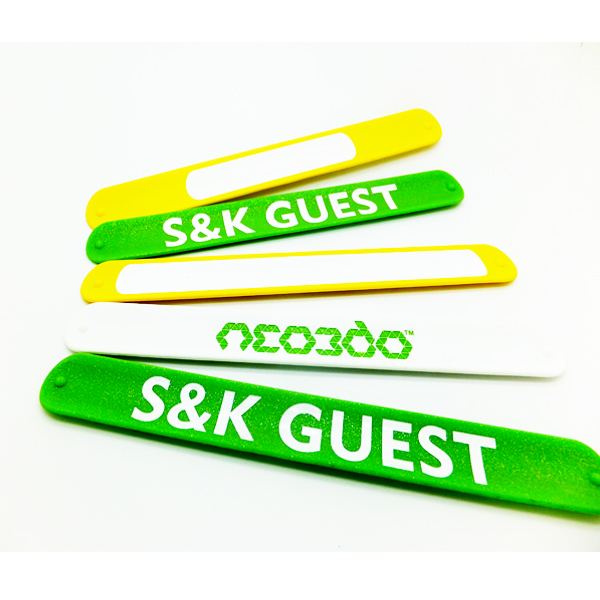 Q:Can I add my logos and different fonts on the silicone wristband? A:Yes! Adding up logos and different fonts are amazing ways to create personalized rubber wristbands. Q:How many colors can I choose for the silicone wristband? A:All silicone products can be made into any color you like in Pantone Color Chart. Q:Can you send me some samples for checking before place an order ? A:Surely for samples in stock we can send it to you free. Welcome to ask more information.